It seems like anxiety is something that more and more people are dealing with these days, and I think a lot of it comes from the things we can’t control but want to. The sooner we give up our desire for control, the sooner we give up the trigger for anxiety. So, with that in mind, anxiety, when viewed with the right perspective, can be used as a tool for self-awareness. When anxiety presents over the things we can’t control it highlights a level of attachment, and when you know what you’re attached to, then you can start working towards what you need to let go of. For me personally, addiction has been rewarding in that sense because there was so many attachments I had to learn to let go of. I’ve also learnt a lot from fasting because when you don’t eat for 7 to 10 days consciously by choice, that’s a big attachment to let go of, not just psychologically but also physically as well. Mediation has been extremely helpful too, because it constantly gives new gifts around presenting different perspectives, different ideas and different ways we can deal with things. No matter what tools you use, there’s a level of personal work that’s required to heal anxiety. Because to me, anxiety is just unresolved fear. So, it’s about learning how to resolve that fear. And there’s two ways you can begin to do that. You become so aware of your triggers that you can navigate your environment to make sure you’re not putting yourself in situations that set you off. Or you expose yourself to the trigger or the thing that you are fearful of – that’s called exposure therapy. You expose yourself to that thing that causes you to feel anxious and you keep exposing yourself to it until that trigger becomes void and no longer impacts you negatively. Personally I opt for exposure therapy wherever possible because you can navigate your environment but you can’t always control what comes in. I would rather deal with it then avoid it. 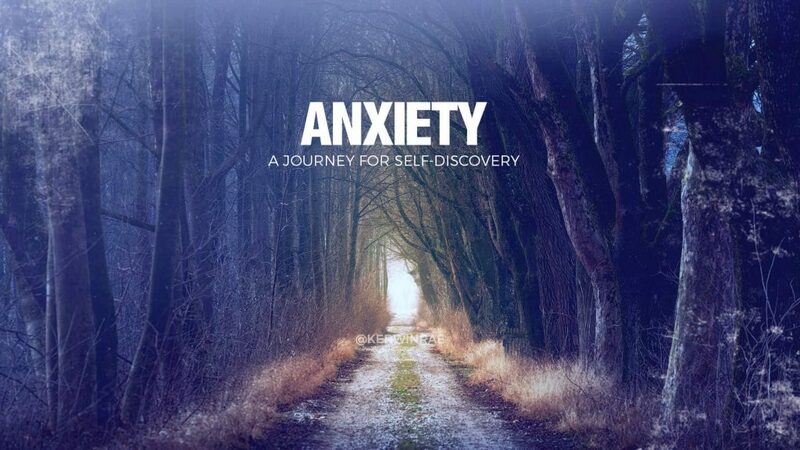 Either way, anxiety is about become ultra-aware of the things that set us off, so we can navigate our mind, environment and situation to remove or deal with the triggers that surround us. Remember it’s a journey not a destination, and by doing this and facing it head on, you will learn so much about yourself.